Here we go again with another pesto recipe… Well, this is absolutely the fastest and easiest way to make an exquisite dish even if you are an absolute beginner in the kitchen. 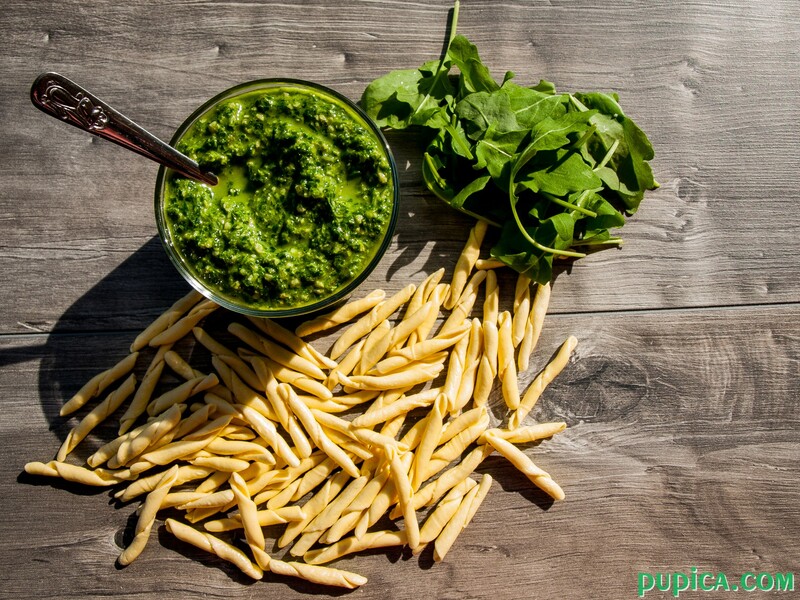 All you need is a food processor, but if you don have one, you can do it with a blender although it will rarely come out as good as with food processor, because, with blender, you will make pesto that is too creamy and runny, but some may like it like that. The best thing about making pesto at home is that you can experiment with different ingredients and different quantities. 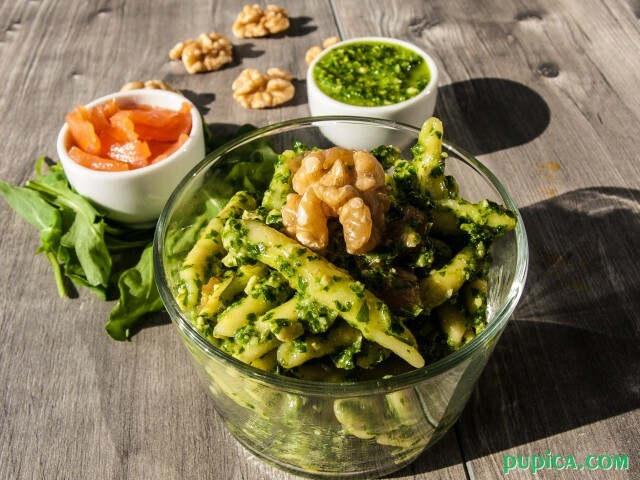 I have made many kinds of pesto, like kale, baby spinach, basil and mint pesto, used different kinds of nuts to add the flavor and they were all super tasty in their own way. If you are preparing it for the first time then I advise you to follow the recipe. 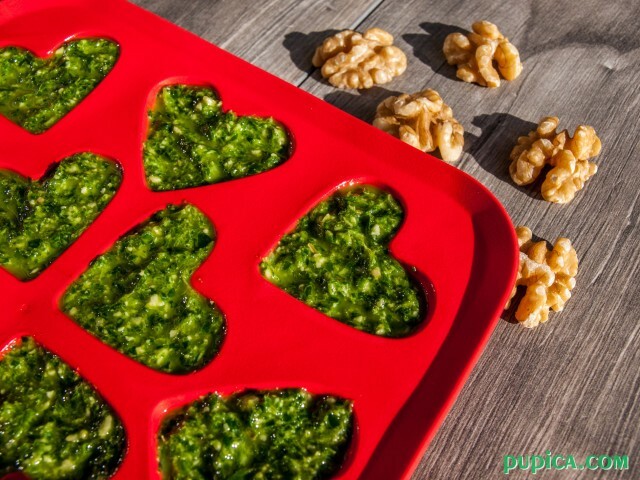 You can make some extra pesto and freeze it in jars or in ice cube trays for later. Or you can just refrigerate it for a week in an airtight container. I usually freeze it in ice cube trays and then I put the cubes into ziplock bags and put it back in the freezer. Frozen pesto sauce can last for 6 – 9 months. But do not put cheese in the pesto if you are going to freeze it. 1Bring a large pot of salted water to the boil and add the Caserecce pasta. Cook as indicated on the package. 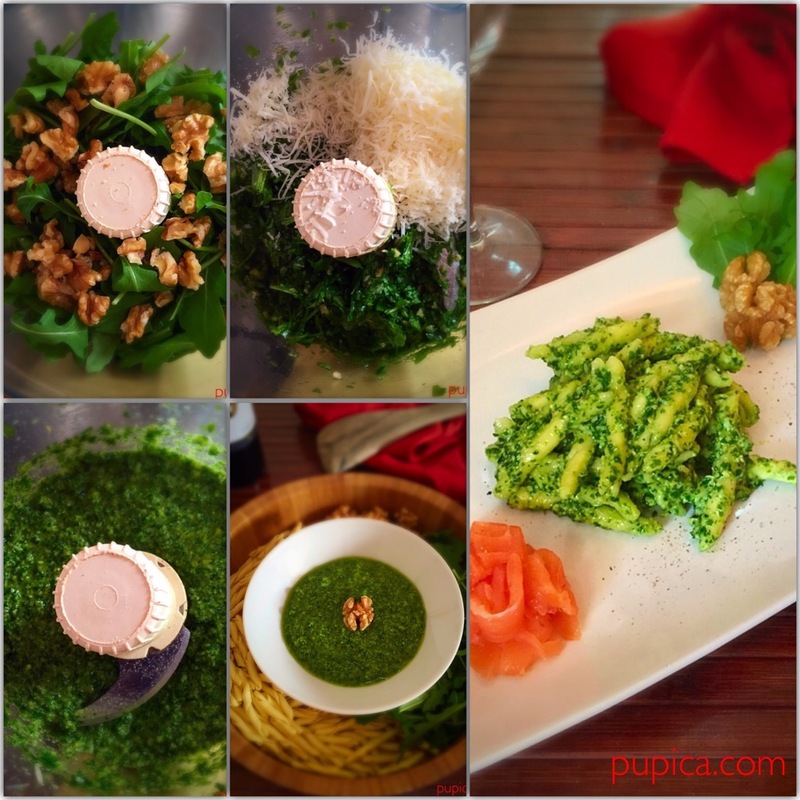 2Combine arugula and walnuts in a food processor and pulse for a few seconds. 3Add Parmesan cheese and pulse while drizzling the extra-virgin olive oil in the processor. Taste and adjust seasoning. 4Put the pesto sauce in a large bowl and mix it with Caserecce pasta. Evenly coat the pasta with the pesto sauce. 5Serve with arugula leaves and sliced smoked salmon.